WooCommerce is one of the best e-commerce websites that allows you to make the online presence of your business. It gives you a lot of control over the store, unlike many other platforms. Also, there are a ton of resources available for WooCommerce online and in case there are any issues, there is a huge community support. You can export the list of customers from the database of the website, but that can be a nightmare situation if you are not a WordPress developer. The best way to do that is getting your hands on a plugin. WordPress Users & WooCommerce Customers Import Export Plugin is the plugin to go for if you want to export the list of the customers. The plugin helps you to export the list of the customers and its related data to a CSV file. The plugin offers a lot that can help you achieve more from this plugin. Visit the product page of the plugin. The first thing you need to do to export the customer list is to install and activate the plugin on your WordPress website. 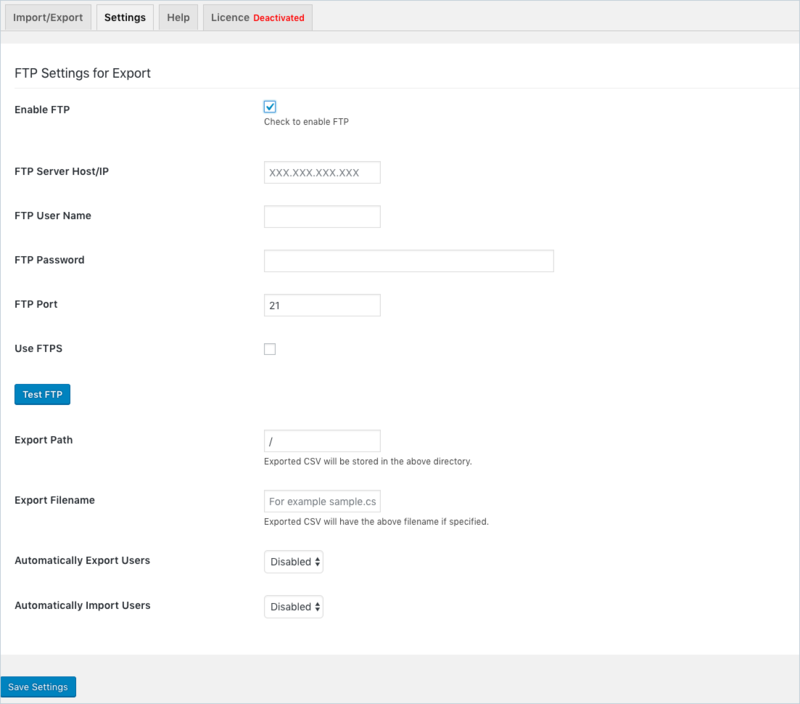 After the plugin activation, go to the dashboard and navigate to WooCommerce > Customer Import Export. This will take you to the plugin page. To export the products, go to the User/Customer Export tab. The customer export can be completed in two steps. The screen for the first step looks as shown below. Then click on Apply Filter button. This will show the resultant set of customers on the right-hand side of the page. The reset button will help you clear all the filters that have been applied and lets you start afresh. After the required filters have been applied, proceed to the next step by clicking on Step 2: Map and Transform button. It will take you to the mapping screen as shown below. Select a mapping file for export: Similar to import settings, you can select an existing mapping file for export. 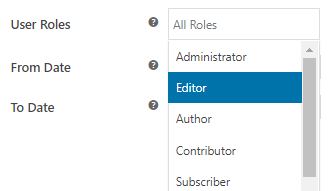 This option is enabled only when you create your first mapping file. Export Guest Users: Check this field to include the guest users of the website to the exported CSV file. To export Customers, select them. From Bulk Action drop-down list, select Download as CSV and click Apply. All the information about the selected customer(s) gets auto-downloaded to CSV file. The plugin allows you to schedule automatic import of the customers into the remote server via FTP. To do that, go to the Settings tab of the plugin. 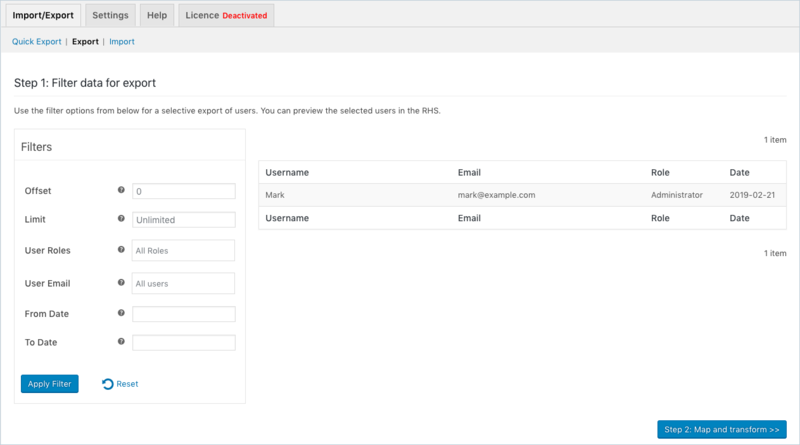 From this page, enable FTP and fill in the required fields. After all the required fields have been filled, this will export all the customer data in a CSV file via FTP on a regular interval. You can try out the free version of the plugin before purchasing the premium version. This plug-in doesn’t work once you have paid your money. It gets stuck on Step 2 and does nothing. What I said above is correct but to be fair about it, it could be a conflict with another plug-in. 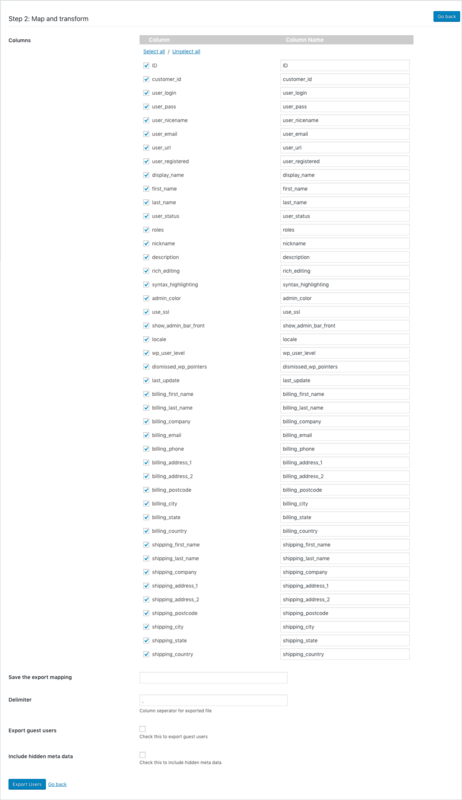 We tried it on a test site and although the plug-in wasn’t able to export the details for Woo Commerce Membership (which it never claimed it could do) it did a good job exporting WordPress account details. The Customer Service was really good, they investigated everything and they refunded us so all good. Using this plugin you can Import-Export WordPress/Woocommerce customer data only. In order to Import/Export order data, you may please have a look at our Order Import Export plugin. does this show you the number of orders per customer and or new customers?